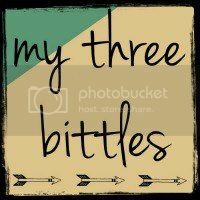 Hello to all the great fans of My Three Bittles! I'm Holly from not done growing. 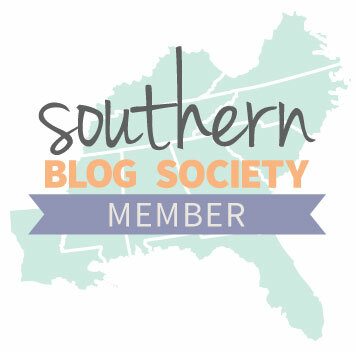 Before I get to far, I would like to thank Amber for giving me the chance to take over her blog for a post! I am beyond excited to have this opportunity to be part of this community. From the bottom of my heart - thank you, thank you, and thank you! 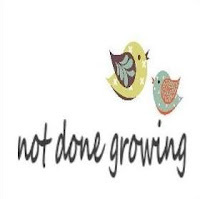 not done growing is my little place in the world where I can share all the things that give me joy and happiness. On any given week you will see posts about crafting, a new recipe, family life, or find a new charity to support. I strive for not done growing to be an inspiration in living a happy and charitable life. I am still learning and growing every day, and I'd love for you to join me on this journey! Today I'd like to talk about finding and keeping JOY in your life. People who are happiest are the ones that have found a way to be conscious of their JOY. They have moments of sadness, but they have learned to not focus on the bad. Joyful people know that although this moment is not that great, odds are the next one will be better. The key to living this way is to teach your internal voice how to see the bright side of life. One way to start this process is to be conscious of when you are happy. In the beginning it will be hard, but as with every new habit; the more you put in the better your results will be. Before you know it recognizing your joy will be as natural as taking a breath. Having a journal or log has always helped me to be more conscious of my thoughts and feelings. Take the time at the end of the day to sit and reflect on everything that gave you JOY that day, then write it down. Having this history of your joy and happy moments will also help in those darker times. 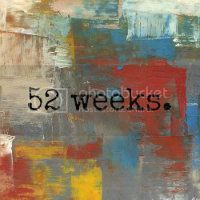 When you need a little boost, or reminder of what is good in your life; you have it ready to go. Just pull out your Happiness log and read away! 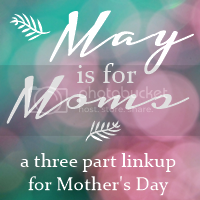 Being a busy mom, I know that there is not always a lot of quiet time to sit, let alone to sit and keep a journal. The key here is to simply keep a collection of your happiness. 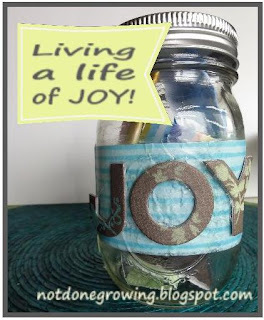 One way that I have found that works is my JOY Jar. All I did was decorate a mason jar. 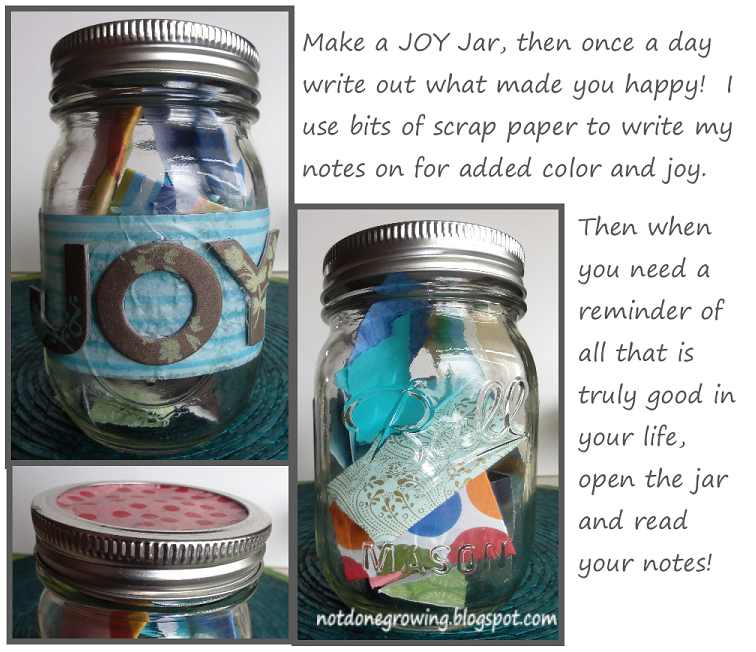 When I have 10 seconds during the day, I jot down a happy moment and throw it in the jar. The key is to find what works for you! Being happy and living a life of Joy really is all about your perspective. Think happy and you will be happy. I hope you have enjoyed this, you are always welcomed to read more over at not done growing! Thanks again Amber for letting me take over here. loved this post. I am a follower of Holly and am now following you. What a lovely idea. This is a wonderful way to give yourself a lift when things aren't going so well. You are a very thoughtful individual and I appreciate your sharing with us. I love the Joy Jar! 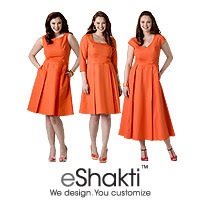 "What you focus on expands", and that's a lovely, fun way to focus on the joy in our lives!